Just because your chimney looks fine on the outside doesn’t mean it’s in the same condition on the inside. Chimneys with clay flues are often cracked and damaged after years of use. These cracks result from the constant natural settling of your home, sudden temperature shifts, lightning strikes or poor workmanship. These defects can only get worse over time and could eventually threaten the safety of you, your home, and your family...which is why chimney flue resurfacing might be needed. The only way to fix a damaged flue is by either installing a new Milwaukee stainless steel chimney liner or resurfacing the flue itself. Waukesha chimney flue resurfacing with Wisconsin Chimney Technicians is done using the Heat Shield® flue resurfacing system. HeatShield® is a chimney liner repair system which stops hazards and draft problems caused by gaps, cracks and spalling in clay and brick chimneys. This process is usually used in cases where the flue liner is still structurally fine, but has a few minor defects. In some instances, Heat Shield® flue resurfacing is a better and cheaper alternative to relining your chimney with a stainless steel insert. 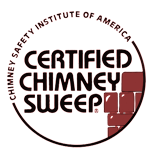 Wisconsin Chimney Technicians also offers Milwaukee chimney joint repair services for fixing any cracks or splits in the chimney flue. The joint is the location where the chimney flue sections meet. Moisture damage to the brick is a common problem indicating when your chimney is in danger of collapsing. Filling in these cracked or shifted areas keeps dangerous, noxious fumes and flames from entering your home and improves your fireplace’s efficiency. There are several additional signs your chimney needs repair. Make sure your chimney isn't going anywhere! Chimney Flue Adapters are the best way to connect your chimney liner to a variety of appliances. Chimney adapters perfectly link the stainless steel lining to fire places, wood stoves, or other inserts. Galvanized pipes typically require chimney flue adapters as well. Either maximize the use of your chimney flue now or make the pledge to start saving money. Our Waukesha Wisconsin Chimney Technicians install any flue adapter for any home or business. Schedule your Milwaukee chimney repair services online today or call Wisconsin Chimney Technicians at (262) 443-5933 to discuss our Milwaukee chimney flue resurfacing and joint repair services and our other Waukesha chimney services offered in Jefferson, Milwaukee, Kenosha, Walworth, Washington, Ozaukee, Racine, or Waukesha Counties. 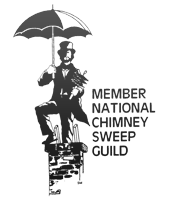 Contact our expert Milwaukee chimney sweeps today for flue resurfacing!